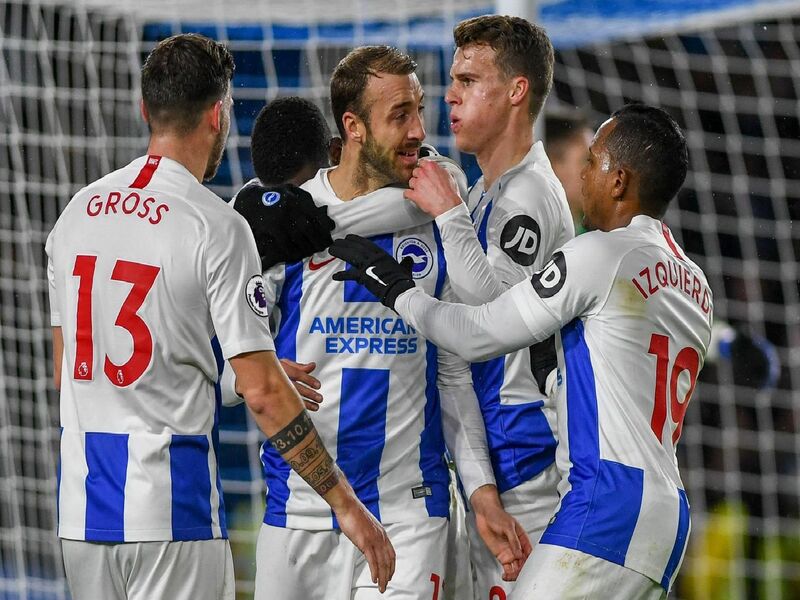 Brighton & Hove Albion's squad is worth a combined total of £173.5m according to TransferMarkt - but how does each individual player rank? Using the website Transfermarkt we break down the individual market value of each player (all values are GBP). Signed from Valencia for a then club record fee in 2016, the Australian keeper's stock has risen on the south coast. 'Transfermarkt valuation: 8m. Brighton Indy valuation: 25m. Has impressed between the sticks when called upon since joining from Fulham last summer. 'Transfermarkt valuation: 1.5m. Indy valuation: 2m. Third choice keeper after signing from Sunderland last summer. Solid in one and only performance in the FA Cup at Bournemouth. 'Transfermarkt valuation: 750k. Indy valuation: 750k. The no-nonsense Irish defender has starred for the Seagulls since joining from Blackburn in 2016 and has added goals to his game this season. 'Transfermarkt valuation: 12m. Indy valuation: 22m.